HealthNet, Indiana's largest federally-qualified health center, has been selected as a 2015 HIMSS Ambulatory Davies Award recipient. 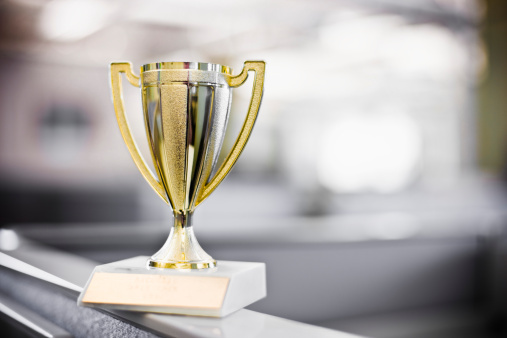 Since 1994, HIMSS Nicolas E. Davies Award of Excellence has recognized outstanding achievement of organizations that utilize health information technology to substantially improve patient outcomes, while achieving return on investment. Established in 1968, HealthNet has been a leader in the improvements of Indianapolis' inner-city neighborhoods, enabling quality and accessible healthcare for everyone. Its 150 providers serve 59,286 patients, 65 percent of which are Medicaid recipients and 77 percent are less than 35-years-old. "HealthNet has leveraged health IT to standardize and improve care for children and newborns within its delivery system, said Jonathan French, director of quality and patient safety at HIMSS, in a press statement. "The Davies Committee and HIMSS congratulate the team members of HealthNet on improving the health outcomes of their patient population through the effective use of health IT," he added. HealthNet consists of eight primary health centers, one OB/GYN care center, one pediatric and adolescent care center, one maternal fetal medicine center, five dental clinics, seven school-based clinics, a homeless program and additional support services. It's the only federal-qualified health center in Indiana to be accredited by the Joint Commission as an Ambulatory Practice. "HealthNet is honored and pleased to receive the 2015 HIMSS Ambulatory Davies Award," said J. Cornelius Brown, HealthNet president/CEO, in a press statement. "This award is a testament to the dedication of our providers and staff to keep families healthy and provide a true medical home for patients we serve." On the same day, HIMSS Analytics selected 76 Hattiesburg clinics in Mississippi for Stage 7 Ambulatory Awards. Established in 2011, Stage 7 is awarded to institutions with the highest level of EMR adoption and represents an advanced electronic record environment of healthcare providers. Only 7.79 percent of 33,000 U.S. ambulatory clinics in the HIMSS Analytics Database had achieved Stage 7 by Q3 2015. "The Hattiesburg Clinic is making great progress in its population health strategy," said John Daniels, global vice president, healthcare advisory services group, HIMSS Analytics. "Their focus on using the EHR is impressive as they are providing advanced chronic care and pain management services by working to predict hospitalization risk and then proactively addressing risk factors to prevent hospitalizations." Hattiesburg Clinic is the largest privately-owned multi-specialty outpatient facility in Mississippi and boasts more than 350 physicians and providers in 18 counties throughout the state. "We've made a strategic investment in our EHR, and this is confirmation that this technology is helping us to enhance operational efficiencies, and ultimately, make quality improvements for our patients," said Tommy G. Thornton, executive director of Hattiesburg Clinic, in a press statement.